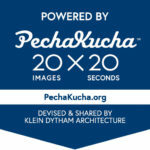 Powered by PechaKucha presentations are rapid-fire performances of 20 image-rich slides that show for 20 seconds each. For a taste of these stirring presentations, check out Paul Ratliff’s “Collateral Revelation”. Perspectives challenge our assumptions, provoking reflection and discussion about our values and pushing us to refine our practices. They don’t just inform—they ignite action. This session highlights material agency—and the power of the ordinary and the small in guiding human interaction. In paying attention to prosaic details we can challenge the framing of our current perspectives. What Is the Value of a Perspective? Observation is central to ethnographic practice. But what shapes our vision, how we see and are seen by the world? In this session we will look at a range of these ways of seeing—including through art, identity, and changing technology—and how they have shaped our speakers’ approaches to ethnography. How people violate or circumvent norms often reveal much about the way groups or (sub)cultures construct systems of value or “truth.” In this session we explore what we can learn from accepted boundaries and their transgression. Can Cheaters Prosper in Cambodia? Should User Research Be Funny?